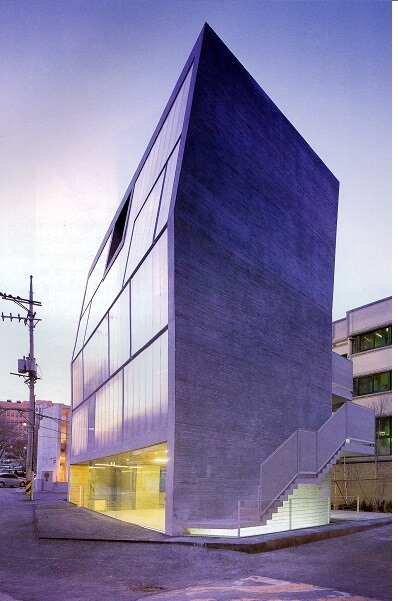 Danpal’s reputation has been so firmly established on the strength of our structural products that some people might not realize that we also produce curtain wall systems, which although not structural, have a lot to do with keeping your building in good condition. 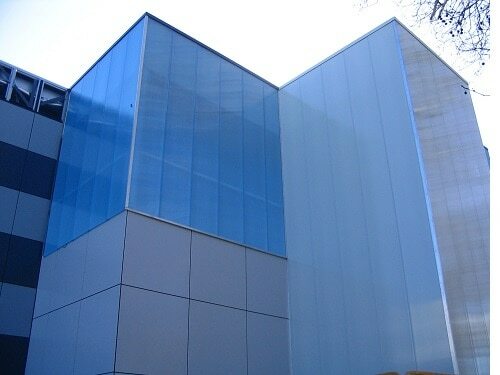 Like our other Danpal products, curtain wall systems have both a protective and an esthetic purpose. That’s because curtain wall systems are placed over your building exterior for that added layer of protection against weather damage. Installing a curtain wall system is a good idea, and we’ll tell you why. In order for a building to last, it has to be able to withstand the damaging effects of weather, which, day by day, inflicts heat, rain, wind, and snow upon the structure. When designing a building, architects pay a lot of attention to the best products that offer the most protection against the outdoor elements. We’re very proud to say that Danpal, because our curtain wall systems utilize microcell technology for its extremely high impact resistance, consistently comes out at the top of the list for delivering the protection that buildings need. So, while you’re inside, don’t worry when the rain pours, the wind howls, the snow falls, and the hail strikes, because your building is protected. Danpal’s curtain wall systems come with a double click locking seam, so that everything is secure and capable of handling a high-load resistance. It’s a simple but effective process that not only ensures the security of the curtain wall system, but also makes installations much quicker and much less cumbersome. Danpal engineering has developed a material that is lightweight, flexible, and strong. The lightweight aspect of the curtain wall systems makes it easy to transport and work with, making the building process easier for everyone. The strength of the system is an inherent feature of Danpal products. Because the joints are concealed, the exterior remains flush so that it can be shaped to conform to the design. Customization takes on an entirely new level of personalization when we’re talking about Danpal curtain wall systems. That’s because we offer so many different color options, along with finishes and special effects, that your curtain wall system will create exactly the image that you have in mind. The nature of construction requires a building to conform to certain codes, specifications and functions, but when it comes to color, the only limitation is your own imagination. We have options to keep it simple, if that’s what you prefer. Or, if your building design is intended to reflect a certain attitude, color is a wonderful way to be noticed. At Danpal, we regard color choices as an adventure. We have soothing, muted shades that will easily blend into the location of your building, along with bright, bold colors that will get noticed. We’ll work with whatever choice you make so that, in the end, the building communicates through its appearance and we want to help you deliver your message.